A bold sequel with an ambitious yet awfully muddled script. The gore factor here is much higher than in the original and there are some frankly horrific and disturbing sequences which could perhaps best be described as upwardly ‘nasty’. 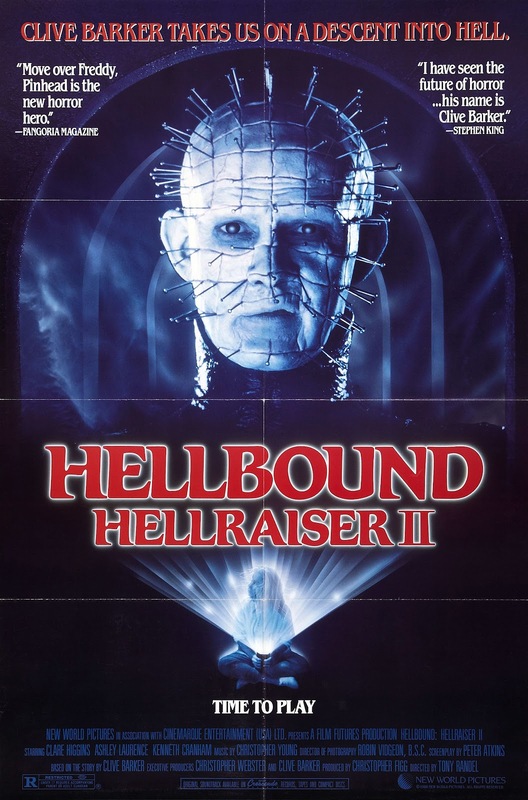 Unfortunately, director Tony Randel doesn’t pull this one off at all and Hellbound collapses in on itself about half-way through proceedings amongst a plethora of absurd plot moves, incoherent story-telling and ridiculous special effects. There are positives, such as stage-actor Kenneth Cranham’s portrayl of the pleasure-seeking ‘Dr Channard’ and Doug Bradley’s touching memories of ‘Pinhead’ in human-form. Such moments are regrettably few and far between in a film which foregoes the claustrophic setting of family-life in Barker’s original in order to chase some broader ‘good VS evil’ plot device. For me, the film fails miserably in this vision and ends up being nothing more than a hugely disappointing collage of blood-soaked set-pieces.